These are "Old School" Mid-Century. 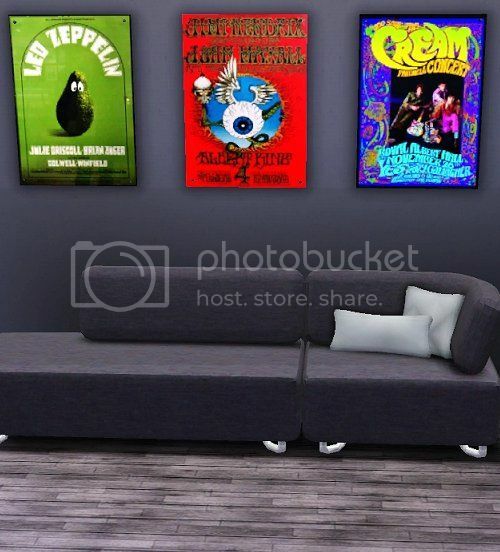 Vintage, And just plain OLD 60's Rock Music Posters. 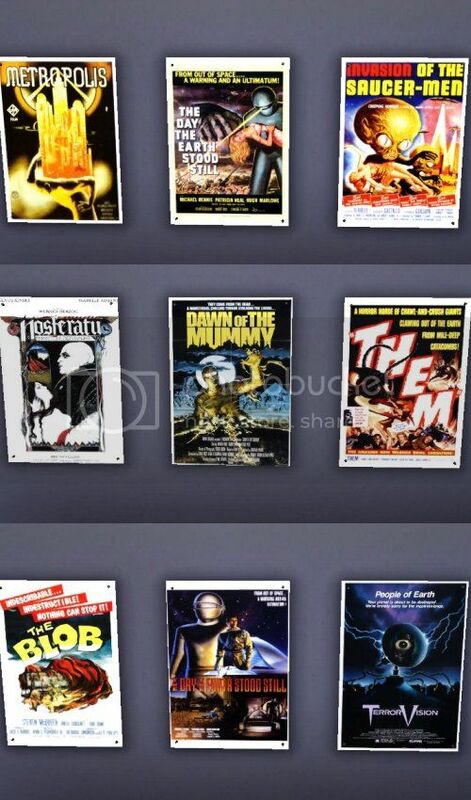 In one set you will find the 60's Music, And in the other Set, is Vintage Sci-Fi and Horror Movies. 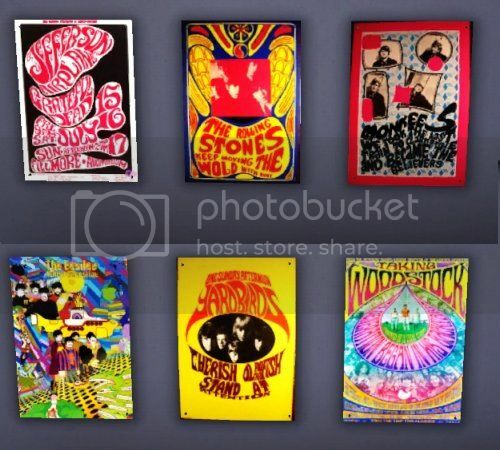 There are 14 in Posters in each set on one Poster Mesh. Not all the Posters are shown.. Enjoy. They look better in game than my Crummy Screen Shots..